A collection of a cappella TTBB sheet music and songbook arrangements for mens voices. Vocal harmony arrangements for male singing groups. Displaying 1-50 of 104 items. The British rock band Queen formed in London in 1970 and developed a progressive style that became tremendously popular even to the present day. Men's choirs will enjoy these full-voiced arrangements of five of their top hits. "Many people think it is a comparatively easy task to write a composition on found folk tunes... This way of thinking is completely erroneous. To handle folk tunes is one of the most difficult tasks; equally difficult, if not more so, than to write a major original composition. If we keep in mind that borrowing a tune means being bound by its individual peculiarity, we shall understand one part of the difficulty. Another is created by the special character of folk tune. We must penetrate it, feel it, and bring out its sharp contours by the appropriate setting... It must be a work of inspiration just as much as any other composition." - Bela Bartok. Includes English text. Text in English, German and Hungarian. Billy Joel is surely one of the great songwriters of contemporary pop songs and many of his songs are particularily suited for a cappella singing. Kirby Shaw's exquisite a cappella arrangement of his pop ballad "And So It Goes" is stunning and Kirby also does a fantastic job with "Lullaby (Goodnight, My Angel), one of the most poignant and beautiful songs of the '90s. "The Longest Time" is an excellent piece for featuring and recruiting men for your choral program. It is an authentic transcription of the original Billy Joel hit, and as such it will have automatic appeal with both singers and audiences. "Blue And Sentimental" is a slow grooving version of this Basie classic. It starts out right on the chorus with everyone on words. "Oo's" on bridge the first time around with a half step modulation into the last 'A'. This is a very tight arrangement with ample opportunity to work on swing feel by accenting the upbeat on eighth note passages. "I've Got A Crush On You" starts with a rubato introduction into a slow-ish swing groove for the chorus. The verse is in the middle and is sung rubato with "oo's" behind the lead. Back to tempo second time around with a half-step modulation into the last'A' with a ritard into the ending. "Let's Get Away From It All" is a snappy, toe-tapping rendition. It starts right in on the chorus and cruises along to a big ending. Straight-ahead, very fun to sing, and makes a great show opener. "Lillette" is a somewhat rare tune performed by the Nat Cole trio in his early days. It starts out with a rubato verse going into a snappy chorus with tons of fun syncopated rhythms that keep things moving. Stop time kicks in the tag send this one off with a bang. Kenneth Jennings' settings of two Dylan Thomas poems 'Do Not Go Gentle Into That Good Night,' and And Death Shall Have No Dominion' are both beautiful arrangements. 'Loch Lomond' is a Scottish folk song that dates back to the Jacobite Rebellion. Care has been taken to preserve the authenticity of the language in this arrangement, with the help of a ipa chart in the performance notes of this chart. With an energetic, strong opening and a more lyric, gentle section in the middle, 'Alleluia' provides an overall sense of the joy we experience while praising god. 'Let the Bullgine Tun,' a vigorous, humorous, traditional sea chantey is guaranteed to delight both singers and audiences. To commemorate their twenty-fifth anniversary, Chanticleer has put together an anthology of some of their favorite songs. Edited by Matthew Oltman and conductor Joseph Jennings, this book is comprised of pieces from the Renaissance through the twentieth century. Selections include "Vox in rama" by Palestrina, "Fuggi, fuggi, dolor" by William Hawley and "There is a Balm in Gilead" arranged by Joseph Jennings. The book includes notes and translations for the pieces as well as performance suggestions. Also featured is a section of pictures of the group from the past twenty-five years. Chapter 6 is a professional male a cappella ensemble. 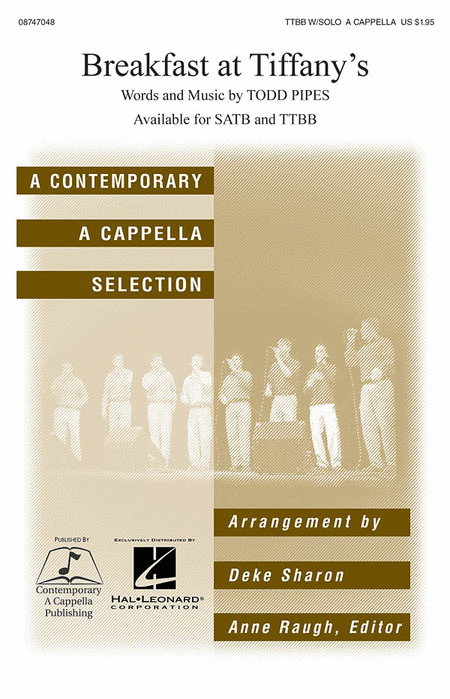 Comprised of six vocalists and one arranger, Chapter 6 is the only vocal ensemble to win both The International Competition of Collegiate A Cappella (2001) and the prestigious National Harmony Sweepstakes (2004). The group features a diverse repertoire of American popular music, from Gershwin to Stevie Wonder, as well as original songs ranging from the comical Lost in Canada to the personal God's Love. In addition, clever medleys including The Wizard of Oz entertain music lovers of all ages; their signature six-minute version of the classic MGM film earned a Contemporary A Cappella Recording Award (2005). The book Chapter 6, Volume 1 is published by New Harmony Music. It is the first collection of Chapter 6 music to appear in print form, and it contains all the arrangements from the album Swing Shift, plus additional bonus titles. 'Ubi Caritas' is a setting of the second verse of the beautiful Maundy Thursday text. The work's character and melodic structure is strongly based on chant and, as a result, requires a sensitive approach to subtle tempo changes, text and phrasing. After several climactic sections, the piece ends very simply and pognantly with a request for peace and understanding. 'Jing-ga-lye-ya' was an instant success for Chor Leoni Men's Choir. Using nonsense words, it is rhythmic and upbeat, and uses cyclical repetition in the parts creating an incredibly catchy groove! Loomer's arrangement of 'Goin Home,' the folksong/principal theme from Dvorak's New World Symphony with baritone solo, was written for Chor Leoni and calls for low D flats from the basses... but you do have their permission to change keys! Stan Rogers, Canada's folk music hero speaks to all of us through his words and music. 'Fogarty's Cove' is faithful to Stan's musical Style and it's great to sing! 'Ave, Maris Stella' is a favorite Nova Scotia Latin canticle with a simple harmonic arrangement. Included is a solo for tenor or unison tenor section. 'Loch Lomond' begins with a tenor or baritone solo, and develops into a rousing rhythmic chorus which drives to the end of the piece. in between are richly textured choral verses. "As" was performed by NBC's The Sing Off Season Two Winners Committed on their eponymous debut album, this uplifting Stevie Wonder classic combines both rich close harmony and interwoven polyrhythmic counterpoint, making it an impressive showstopper for an advanced group. Vocal percussion optional. Note: a full video of the song can be seen on www.youtube.com. "Little Lion Man" - The debut single from 2009 by Mumford & Sons from their debut album Sigh No More packs a folk rock punch in this arrangement for unaccompanied male voices. "Good Life" - Here is the 2011 pop hit by OneRepublic as arranged by a cappella guru Deke Sharon for Tim Seelig and the San Francisco Gay Men's Chorus in a vibrant and joyful setting! The lyrics may not be suitable for every choir, so be sure to preview it first! Your favorite male collegiate group from Pitch Perfect is back, this time with a fun Mika song, complete with vocal trumpet jam and gospel breakdown. Pitch Perfect's Treblemakers win the regionals with this rowdy, rollicking arrangement of "Right Round" originally made popular by the Tufts Beelzebubs on NBC's The Sing Off Season One. 4-part harmony plus duet. Vocal percussion optional. Pitch Perfect starts with a bang - The Treblemaker's arrangement of the modern Rhianna classic "Don't Stop the Music". A perfect show opener or closer for your male a cappella group (4-parts plus solo, vocal percussion optional). The Kelly Clarkson's mega hit "Since U Been Gone" rocks out in this a cappella rendition from the Pitch Perfect soundtrack! Your guys will love performing this authentic a cappella mash-up of Bright Lights Bigger City / Magic. In "Heartache Tonight" rock & roll, country, and streetcorner sensibilities combine in this fun, up tempo of the Eagles classic. Complete with handclaps and footstomps, this arrangement features a high tenor solo and lots of moving harmony, making it a perfect closing song or encore. "Only You (and You Alone)" is a streetcorner ballad made famous by The Platters is the perfect showcase for a male quartet that's looking for a fun doo-wop piece. The solo is in the first tenor, and crosses into falsetto frequently, allowing for a powerhouse vocal showcase, and the other three parts have fun with the lyrics. Street corner meets close harmony in this rendering of Paul Simon's ode to days-gone-by " Still Crazy After All These Years". Perfect for graduations and retrospective events. The tenor solo can be shared or split between several singers. Light vocal percussion is optional. First a hit for Maurice Chevalier, then Louis Prima, then David Lee Roth, the catchy, flirtatious songs, 'Just A Gigalo/I Ain't Got Nobody' have topped the charts for three generations. Tuneful, playful background parts support a tenor or Baritone solo (which can be shared): send your soloist into the audience and you'll have a huge crowd pleaser. "Cecilia" - This playful Simon and Garfunkle standard is perfect for a cappella with the tenors sharing the original's harmony. Bass and bari weave counter melodies and driving background parts built entirely around the lyrics. No vocal percussion necessary - lots of rhythmic intensity built into the background parts. One of the most popular and requested male arrangements originally sung by the Beelzebubs of Tufts University. "I Can't Tell You Why" - A lush, delicately textured rendering of the Eagles classic. A high tenor solo floats above a sextet of light overlapping lines and a rich bass line, forming a warm bed of sound not unlike a synthesizer or string section. Perfect for a talented octet, or a male chorus. "I Only Have Eyes for You" - This 60's classic made famous by the Flamingos, and then later recorded by Art Garfunkle, is one of the best loved doo-wop tunes of all time. This version maintains the doo-wop styling during the verse and shifts into a rich, close harmony ballad in the chorus. "Rock The Boat" - One of the most infectiously catchy pop/R & B songs to come out of the 70's (made popular by "The Hues Corporation"), this arrangement will make your singers want to get up and dance. Very melodic background lines, plenty of syncopation. Vocal percussion optional. 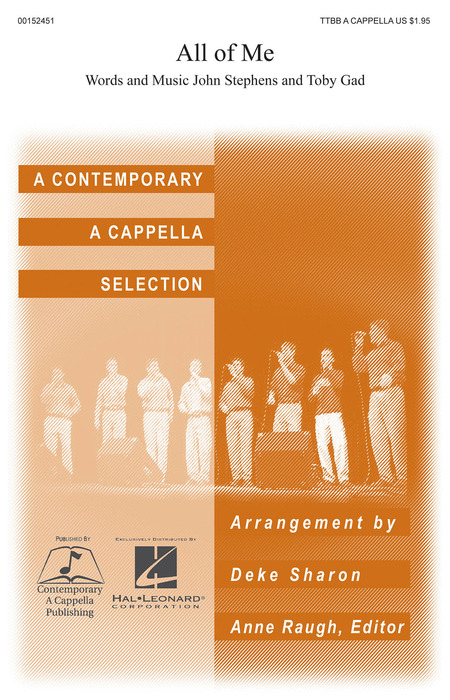 Deke Sharon and Anne Raugh have become a very successful team in the world of contemporary a cappella arrangements and here is a four song collection suitable for most all male groups. Steve Miller's "Fly Like An Eagle" is a pop classic and this arrangement is fun to sing as is the Stephen Still song "Love The One You're With". Billy Joel's songs seem to be particularly suited for a cappella and "Uptown Girl" will please both performers and audiences alike. Sting's poignant song, 'Fragile,' expresses our vulnerability, and this sensitive arrangement will touch the hearts of singers and audiences alike. Written in the collegiate a cappella style but accessible to solid high school groups, this tune is timeless. 'Breakfast at TIffany's' is a perennial favorite of student a cappella groups since one-hit wonder Deep Blue Something charted in the 90s, this upbeat tune is finally available in published form. 'Brown Eyed Girl,' a Van Morrison classic is accessible for newly formed a cappella groups, and satisfying for more experienced ensembles. Popularized by Nat King Cole, the Great American Songbook tune, 'Orange Colored Sky,' provides an upbeat vehicle for either a baritone or alto soloist. If your singers are clamoring for an upbeat pop tune from this century, you can't go wrong with Maroon 5's megahit "This Love." 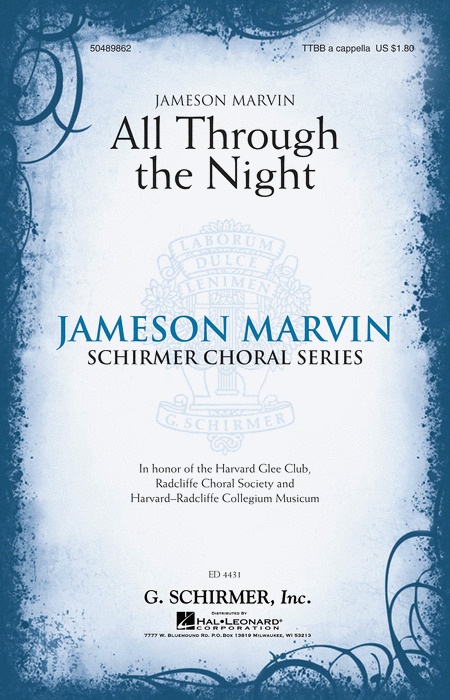 Arranged in the collegiate a cappella style but not too difficult for high school groups. This first volume for men's voices brings together some old favorites previously released for mixed voices. The second volume for men's voices brings together titles released for mixed voices in the Contemporary A Cappella Series songbook volume 4, plus Elvis' "Heartbreak Hotel." 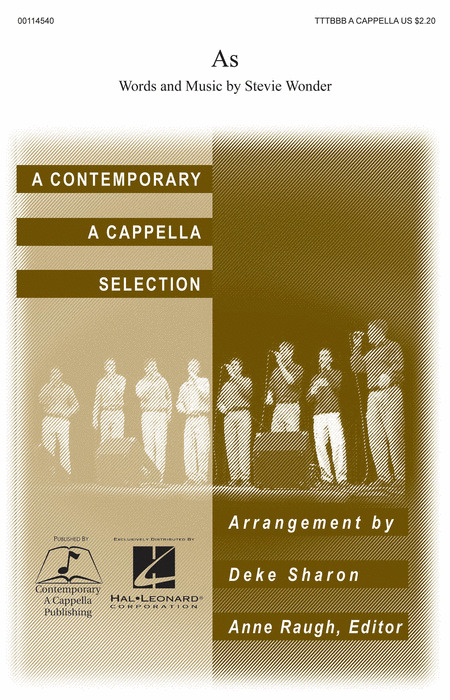 Classic pop-rock hits arranged for male voices by Deke Sharon as part of the popular Contemporary A Cappella Collection. The Lennon and McCartney's classic "All My Loving" is arranged beautifully by Deke Sharon who also does a cool a cappella arrangement of the Rick Springfield hit "Jessie's Girl". The June Carter classic "Ring Of Fire" is lots of fun to sing as is Buddy Holiday's "That'll Be The Day". The Stevie Wonder song "I Wish" rounds out this contemprary a cappella collection that's also a real value for it's price. 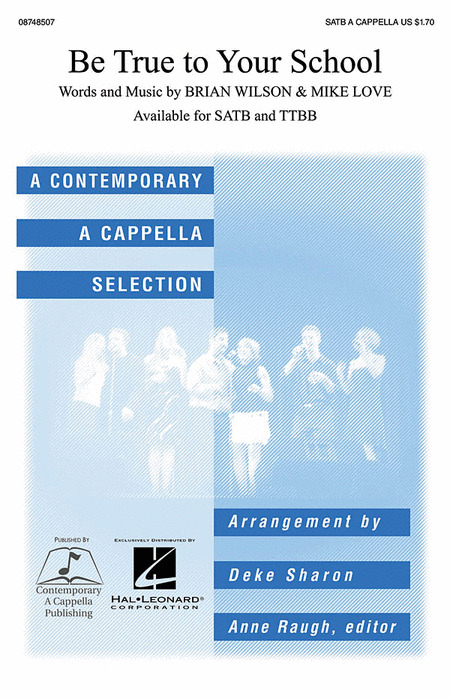 On this collection Deke Sharon teams up with Robert Dietz and the collaboration pays of very well on these contemporary a cappella arrangements for men's voices. Original arrangements from "Grateful Praise", the 5th excellent CD from Utah-based Contemporary Christian sextet Eclipse. We have been watching Eclipse with great interest since their dynamic performances at the Harmony Sweeps Finals in 2001 and 2002, winners of the Denver and Pacific NW Regionals. The group's trademark sound features tight, smooth harmonies, solid vocal percussion, complex, beautiful arrangements and high energy. Eclipse's fun contemporary album, 'Once' chock-full of original arrangements and covers. Here are four exciting arrangements from that album. Written for five and six male voices, enjoy! The follow up to Eclipse's first contemporary album 'Once,' 'Think Twice' was a much anticipated release. Here are six original arrangements from that album! For five male voices! 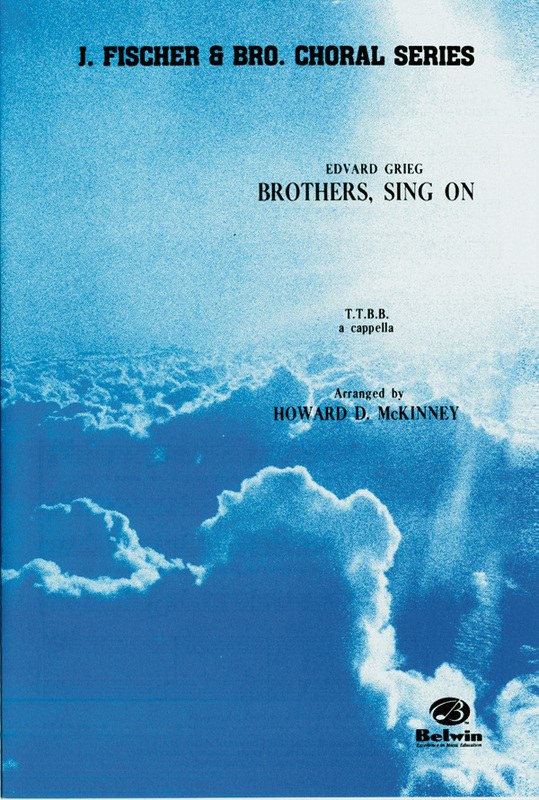 Greig considered his Album For Male Voices the most important of his choral compositions - and well he might: for not only does it contain some of his flights of purest beauty, not only does it embody the very essence of his harmonic originality, but, furthermore, it proved epoch-making, and of much influence upon other composers, in that it showed the applicability of post-Wagerian choral writing. Based on Norwegian folk songs with English text. Part-Song for Men's voices. The words from the Greek Anthology translated by Alma Strettell. Includes piano part for rehearsal purposes. This collection of original songs and arrangements of folk tunes provides a long-needed source of a cappella contest literature for the developing choir. Quality texts, careful attention to range, tessitura, and thoughtful limits on melodic and harmonic complexity make these settings an ideal first a cappella experience. 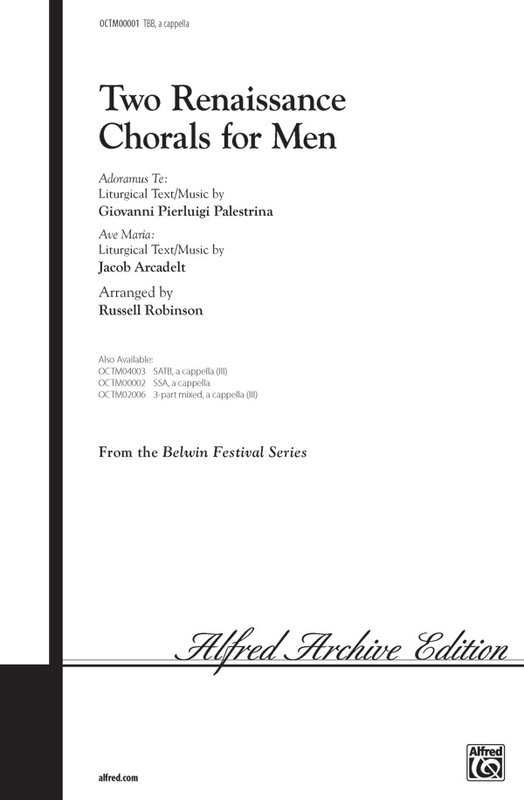 The collection is also a resource for concert and sight-reading material for beginning and developing men's choruses. A selection of songs for men's voices selected by the legendary choral conductor of the St Olaf Choir. This is a fun a cappella arrangement of the Poulenc classic song. No embellishment, no instrumentation, no distractions. Just the pure beauty of four distinct voices converging into one seamless blend where the songs and the harmony take center stage. The Gaither Vocal Band returns to the basics in their first ever A Cappella project, a showcase of richly melodic songs framed by new arrangements. Features the arrangements of every song on the same named CD. Companion CD. These Madrigals were written especially for the Hilliard Ensemble with who Gavin Bryars has worked for many years. The texts are by the poet and writer Blake Morrison. First premiered by the King's Singers in Queen Elizabeth Hall these compositions are a delight and will be a welcome addition to your repertoire. English text by William Rands and Lewis Carroll. Difficult. Falling from the heights of success as a radio personality, director of two Southern California radio stations and family man, to the drunken depths of despair and rootless dereliction, left Paul Meyers at the bottom. In agonized desperation he asked Jesus Christ for help and that moment in the early 1930s was the beginning of the Haven Of Rest Ministries. With his radio experience Paul created a radio program with a quartet, speaker, pipe organ, vibra harp and some poetry. The Haven Quartet are the descendants of this inspirational beginning. On this recording from 1991, you will hear the variety of harmonies usually associated with the four-square gospel singing traditions but the beautifully balanced voices of the quartet are so well matched that this recording is pleasurably reminiscent of the lush harmonies of Glad. This very popular songbook features the exact arrangements of all the songs on the Haven Quartet's CD of the same name. Subtitled "Four Vivariations", Irving Fine's McCord's Menagerie, are settings of humorous poems by David McCord. With the bumbling "loo's" accompanying the tenor melody, Fine's setting of Vultur Gryphus implies a harmless creature. Instead of the movie western's ominous bird associated with death, Fine's animal seems too lazy and stupid to get his own food! Jerboa, classified as the genus jaculus jaculus, is as active and scary in Fine's world as Vultur Gryphus is laid back and friendly. Fine agrees with those to whom a darting (the translation of the Latin jaculus) small rodent is sinister and creepy, attributes he conveys through abrupt entrances and minor tonality. In Mole McCord compares the over-soul of man, a Unitarian concept put forth by Ralph Waldo Emerson, with the limited capacities of the mole. In Clam, Fine and McCord give in to their silliest selves. McCord observes how man the diner and clam the dinner (in chowder no less) both evolved from the same ancestor; man is saved from the clam's fate, according to McCord, by his own initiative and work ethic. Fine has a lot of fun with the sounds suggesting insouciance, which explains why the clam never got ahead! Lots of fun here. 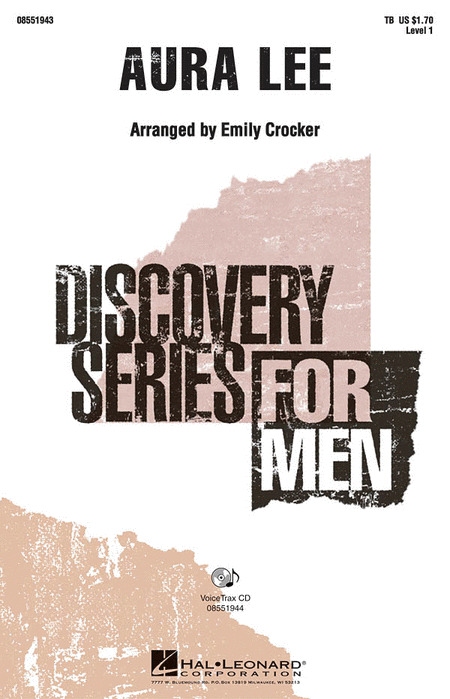 This collection is a great resource for concert and sight-reading material for beginning and developing men's choruses. Includes a cappella original works, and settings of favorite folksongs and other traditional songs: Benedictus, Hi-Ho the Holly, She Walks in Beauty, Greensleeves, Kumbaya, Vive la compagnie! Available: TTBB a cappella. This collection is a fantastic resource for introducing the music of the Renaissance to the male ensemble. These five compositions are well-known and excellent representative works. Bob Chilcott joined the King's Singers in 1987 and sang tenor in the group for 12 years while also serving as their primary arranger. This collection includes 8 favorite North American folksongs, now available for the first time in a single volume. Piano for rehearsal only. Mr. Harris's highly popular choral works have been commissioned or premiered by leading choruses such as the Dale Warland Singers, Phoenix Bach Choir, Los Angeles Chamber Singers, Western Wind, and Cantori New York, and sung by countless school and community choirs across America. Mr. Harris studied at The Juilliard School, New England Conservatory and Harvard University. He has taught at Fordham University and Kingsborough College (CUNY). This is a collection of unaccompanied songs for male voices. Highly recommended. These arrangements of the Five Spirituals grew from the arranger's desire to see a larger and more interesting repertoire for male choruses, and were created with the approval of Tippett's biographer and execture, Merion Bowen. Whilst the spirituals suit male choruses of various sizes and remain as 'basically simple' as the originals, there are several musical challenges in the arrangements. Get some "giddy up" to your repertoire by adding a classic cowboy folk song to your concert material. Evoke the life on the range with these fabulous arrangements by one of the most successful ever choral director. Lots of fun to sing and bound to please the audience! Some with piano accompaniment. The Vagabond is based on words written by Robert Louis Stevenson (1850-1894). With their saucy praise of the life on the road and the freedom of nature, they are reminders of the ancient traditions of the wanderer. But the musical elaboration is far from being just simple and popular : Ralph Vaughan Williams employs refined means of composition, in order to realize varied colors and moods ; and he offers the voice the possibility to sing magnificent phrasing and to evoke strong emotional impact. Songs Of Faith is a collection of seven a cappella arrangements for mens' voices, and represent some of Rudy Partin's favorite old time hymns and spirituals, showcasing his talents for lush harmonies. We hope you enjoy singing these wonderful, timeless pieces as much as Rudy's chorus, The Master's Men, have over the years! A sumptuous edition of an the cappella standard "April Is In My Mistress' Face" from the madrigal repertoire by Thomas Morley. Available for 3-part mixed voices, Russell Robinson's new adaptation features flowing contrapuntal lines, appropriate vocal ranges, and tasteful editor's marks for a truly authentic performance. Enjoyable to sing, valuable to teach, and splendid to hear. "Fair Phyllis" is another well-edited arrangement by Russell Robinson from the madrigal repertoire. Sung a cappella, or with the piano, the men's part spans only six notes in an easy range for changing voices. Charming secular text, light polyphonic texture, changing meters, and contrasting dynamics. Fair Phyllis is perfect as a first madrigal or as a Renaissance feature on any program. "Sing We And Chant It" - Introduce your 3-part choir to madrigal singing with this wonderful new edition of the Thomas Morley classic designed especially for young singers by Russell Robinson. Reduced to three voice parts, this edition still sounds full and captures all the spirit and joy of madrigal singing. Suitable for large choirs as well as small groups. 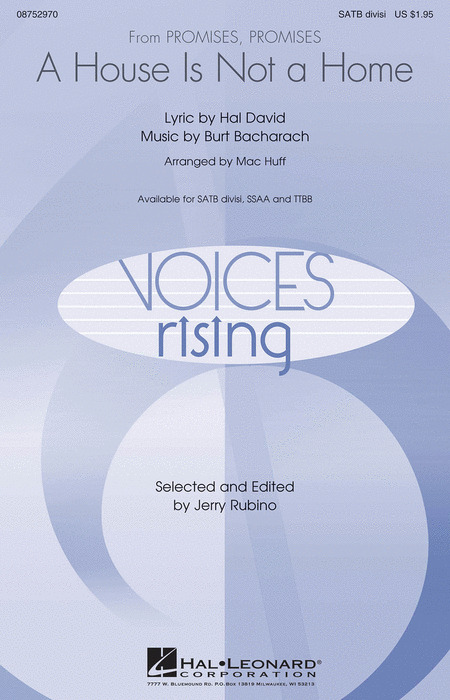 Add this work to your choral library and use it year after year. An excellent teaching piece...but perform it at concert and festival time, too. In the spring of 1991, a new beat arrived in the fledgling world of modern a cappella - a beat in the form of Scott Leonard. Beyond the initial impact and power of his performances on stage and on reordings, he brought arrangements full of groove and heart. Unfamiliar with the growing "cult" of a cappella, his arrangements arrived influenced by the R&B-flavored pop of his Stevie Wonder-rich childhood, and a love for vocal groups of the past from the Mills Brothers to Bread to the Jackson Five. From the first bar of his first arrangement for Rockapella, 'Bed of Nails,' he brought a different approach. Since that first arrangement, Scott has arranged 100+ originals and covers for Rockapella. Here, finally, is an attempt to scratch the surface! Commissioned by Matti Hyokki and the YL Helsinki Male Voice Choir, Lamentation uses extracts from one of six laments by Peter Abelard (1079 - 1142) which were found in a manuscript that was only discovered in 1830 in the Vatican. Helen Waddell, in the accompanying notes to her translation of the text, suggests that in this searing meditation on one of the most controversial and multi-faceted Biblical passages (II Samuel 1:17-27), 'Abelard's passion, that never escaped in his strange, remote letters to Heloise, for once awakes and cries'. Although written with particular reference to David, slayer of Goliath, and Jonathan, son of King Saul, it is the ecumenical sentiment of loss felt by persons of any faith or none that pervades Abelard's beautiful Latin text and, indeed, my rendering of his words. 15 fun arrangements for your male ensemble! Displaying 1-50 of 308 items. Kevin Memley's music is known for its beautiful melodies, captivating harmonies and originality. This a cappella piece for men's voices is a prayer of gratitude and praise. The alleluias that soar between the verses are gentle yet stunning. The general nature of the text will enable this piece to work in both church and school, high school and older. A Shawnee Press Classic is a proven winner that has stood the test of time. We are pleased to award that prestigious status to A Parting Blessing. The familiar words and melody will resonate with your audiences. A great way to close your concert. Delightful, accessible setting of one of Berlin's classic melodies, also perfect for special occasions such as homecoming or dances. The timeless hymn Abide With Me arranged by Moses Hogan has been adapted by Peter Eklund for men's voices in a rich and sonorous setting that will be a concert highlight! Written as a fanfare-like concert opener, bells announce the choir in the age-old tradition of church bells, but with the added possibilities of handmade or found-object bells, as people gather in a spirit of festive celebration, worship and art. The choir can use triangles of varying sizes, bells, or anything which strikes metal-on-metal, the number and variety are limited only by imagination and balance. The expressiveness of the Renaissance is richly portrayed in this edition of the classic masterwork by Palestrina, now available in a men's voicing. An excellent choice for beginning and developing ensembles. Available separately: SATB, TTBB. Duration: ca. 1:15. 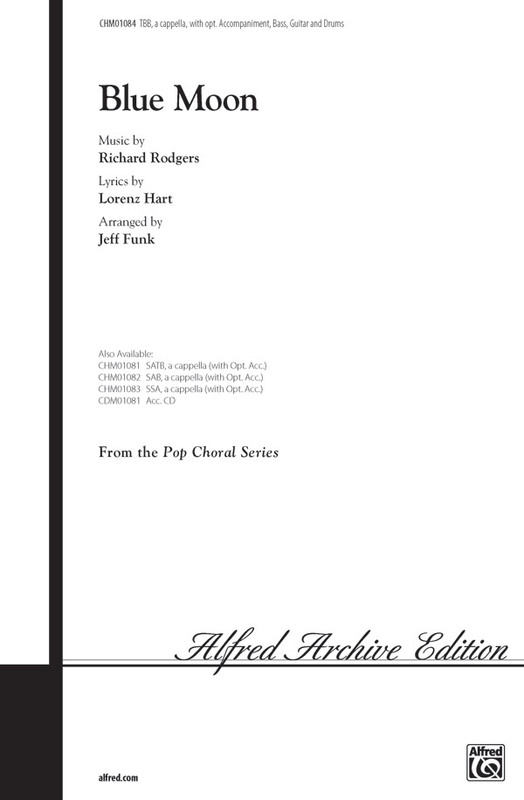 Two choral classics from the Renaissance period - "Adoramus Te" (Palestrina) and "Ave Maria" (Arcadelt) - are now available in this easy SATB edition. They were previously released in men's, women's, and three-part mixed voicings. An exceptional addition to any concert! The SATB edition of this piece was one of the best-sellers of all time and continues to be so. 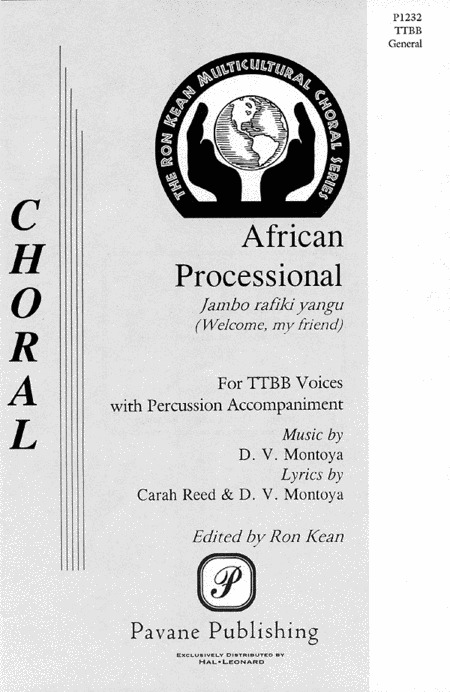 Part of the Ron Kean Multicultural Series, this TTBB edition was commissioned by Charles Bruffy and the Phoenix Bach Choir for the educational outreach program. This song of welcome uses African percussion and provides a plethora of creative staging ideas. A great classic of 20th century Scandinavian choral literature, evoking pastoral voices echoing in the mountains, now available for male voices. In Swedish with Engish lyrics by Norman Luboff. How is it possible to keep a spiritual favorite rooted in the past but sound so new? In this arena, Stacey Gibbs is the master. This energetic arrangement was premiered at the ACDA National Convention in 2015 under the direction of Jefferson Johnson. A great concert closer, this one will bring the house down. For high school and college male choirs. Medium difficulty. This spiritual is a heartfelt expression of faith and representative of the rich heritage of African-American music. This accessible arrangement will be a dramatic addition to any concert program and powerful in performance. 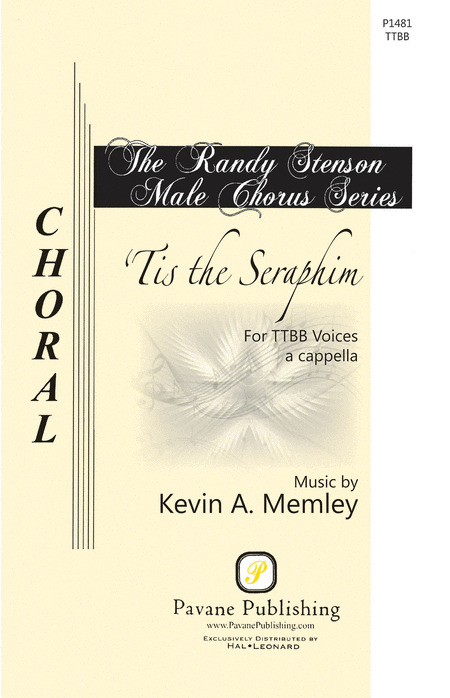 Available separately: SATB a cappella, TTBB a cappella. Duration: ca. 2:00. Continuing the proud history of the Harvard Glee Club, this male voice setting of a Welsh folksong will showcase your singers at their best, offering many opportunities to develop phrasing, intonation and blend. Duration: ca. 2:45. Here is an accessible and appealing madrigal arranged for male voices. Excellent for contest and festival. Available: TTB a cappella. Performance Time: Approx. 1:50. The composer points to the many colors, articulations, dynamic levels and tempi to be explored in this piece - comparing it to skiing down a mountain. Mature men's choirs will be rewarded from exploring this rich palette of expression. Duration: ca. 1:45. An energetic, strong opening and a more lyric, gentle section in the middle provide an overall sense of the joy we experience while praising god. This practical and well-crafted collection for TTBB voices includes three a cappella patriotic selections. Kenneth Jennings has set these two poems by Dylan Thomas to music for the twelve member professional male vocal ensemble Cantus. Kirby Shaw's exquisite a cappella arrangement of this stunning Billy Joel pop ballad is available for men's and women's ensembles. Don't miss it! The beautiful and beloved Korean song in a sensitive, poignant arrangement for men. As performed by NBC's The Sing Off Season Two Winners Committed on their eponymous debut album, this uplifting Stevie Wonder classic combines both rich close harmony and interwoven polyrhythmic counterpoint, making it an impressive showstopper for an advanced group. Vocal percussion optional. Note: a full video of the song can be seen on www.youtube.com. Includes: As the Holly Groweth Green, Down in the Valley, Leave Her Johnny, The Old Brass Wagon, Red River Valley, Sons of Art. 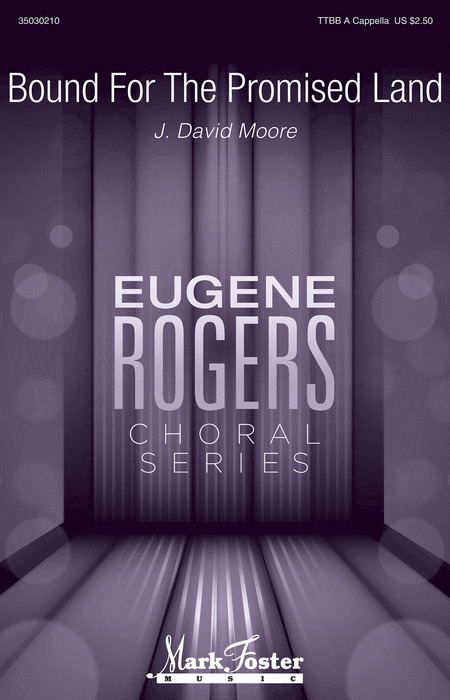 This collection of original songs and arrangements of folk tunes provides a long-needed source of a cappella contest literature for the developing choir. Quality texts, careful attention to range, tessitura, and thoughtful limits on melodic and harmonic complexity make these settings an ideal first a cappella experience. This beloved melody has been popular for over 100 years. An excellent selection for middle school men's choirs, this expressive setting will enhance any concert. May be performed a cappella.Available separately: TB and VoiceTrax CD. Performance Time: Approx. 2:45 Discovery Level 1. Attributed to the Franco-Flemish Renaissance composer Jacob Arcadelt, this edition for men's voices will be a joy to rehearse and perform. Duration: ca. 1:30. Men's choirs will appreciate the opportunity to perform this motet of Tomás Luis de Victoria, one of the most important composers of the Italian Renaissance. A superb choice for contest and honor choir! Rocketing to popularity with the film Beverly Hills Cop and more recently with the internet sensation Crazy Frog, this song retains incredible popularity with all ages. This a cappella setting will be tons of fun to perform with mixed or men's voicings. Available separately: SATB a cappella, TTBB a cappella. Duration: ca. 2:00. Singers can display expressiveness and beauty of phrasing in this lovely a cappella setting of the beloved English folk ballad. It tells the story of the unrequited love between Barbara Allen and Sweet William. Perfect for pep rallies, sporting events and school assemblies, the breakdown in this arrangement gives your singers a chance to get everyone in the bleachers chanting and clapping along. Rah Rah Sis Boom Bah! Now available in a TTBB voicing! Opening with a wordless introduction that evokes the rhythmic and melodic motives of the song, this Beatles' classic moves into the familiar verse, but with certain phrases elongated or ornamented to heighten the sense of freedom portrayed in the lyric, all with a sonorous and interesting harmonic treatment that will astound your audience! 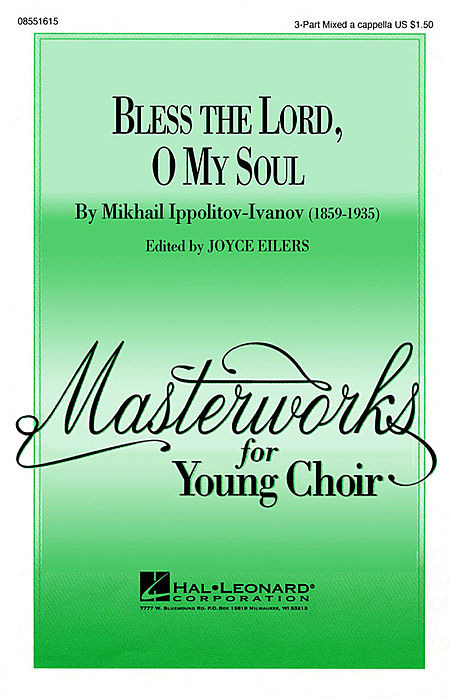 This famous masterwork by Russian composer Mikhail Ippolitov-Ivanov has been arranged for younger choirs by Joyce Eilers. Excellent for developing style, blend and intonation. This accessible piece for a cappella men's chorus is excellent for sight-reading practice, contest or festival. 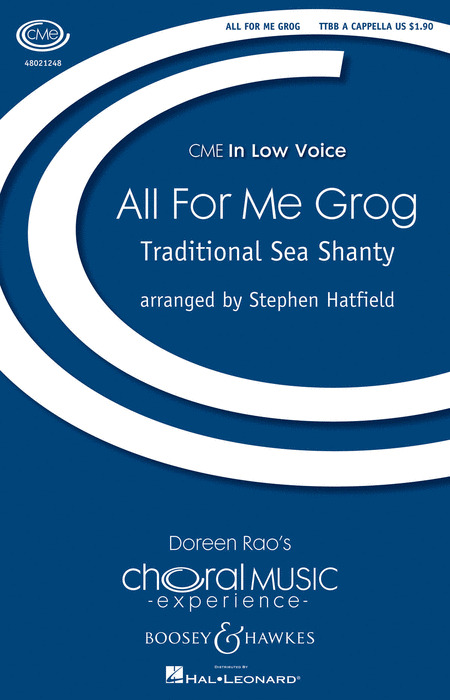 From the Scottish Folksong Suite, this a cappella ballad makes a stunning feature for male chorus. Would you believe this '50s hit was inspired by a toothpaste commercial? It's a terrific male parody on "how to keep your girl" put in an a cappella "street-style" setting. Canonic imitation and development propel this sturdy folk setting to a powerful and dramatic conclusion. A perennial favorite of student a cappella groups since one-hit wonder Deep Blue Something charted in the 90s, this upbeat tune is finally available in published form. The traditional sound of the male glee club is at the forefront with this brilliant setting of a text by Robert Louis Stevenson composed for the 125th anniversary of the University of Pittsburgh Men's Glee Club. The cheerful 12/8 opening bounds forward contrasting with a more lyrical middle section before returning for a stirring conclusion. Your guys will love performing this authentic a cappella mash-up from the movie soundtrack of Pitch Perfect. Includes Bright Lights Bigger City (Cee Lo Green) and Magic (B.o.B). A classic American folksong in a soulful unaccompanied setting that lends itself to so many performance options! Available separately: SATB a cappella, SSAA a cappella, TTBB a cappella. Duration: ca. 2:35. This Van Morrison classic is accessible for newly formed a cappella groups, and satisfying for more experienced ensembles.